Your neighbor,a family member,your doctor . . . According to the National Fire Protection Association (NFPA),over 71% of the firefighters in the United States arevolunteer. Volunteer firefighting is a very rewarding and valuable way to serve your community. 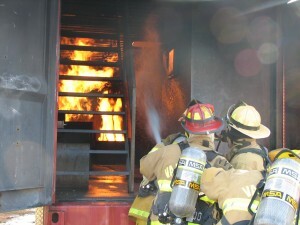 It takes dedication and many hours of training to become a firefighter. If you’re willing to put in the time and effort,the Parkview Volunteer Fire Department is ready for you. Below you’ll find resources and frequently asked questions about becoming a volunteer,as well as the first basic steps you might take toward becoming a member of Parkview Fire/EMS. How do I become a volunter firefighter with Parkview Fire/EMS? Make sure you’re ready to commit. Making the decision to become a volunteer firefighter should not be taken lightly. It requires hundreds of hours of training and a strong commitment to service. Contact us! If you unsure,call our non-emergency number or e-mail the Fire Chief. You can visit the station and talk with many of the members to make sure you have the available time to start the journey of becoming a volunteer firefighter. Once you’ve decided to join,you will need to complete an application. The volunteer application is available online,you may drop it off,mail it,or fax it. It could take several moths for your application to be evaluated and voted on at a meeting. PLEASE do not be discouraged if you do not hear from us right away. After you join,we will enter you in a training program. All training and personal protective equipment is provided at no cost to the individual.